Harvard University says it has launched an independent review of a real estate transaction involving its longtime fencing coach and a man whose son was later admitted to the school and joined the team. 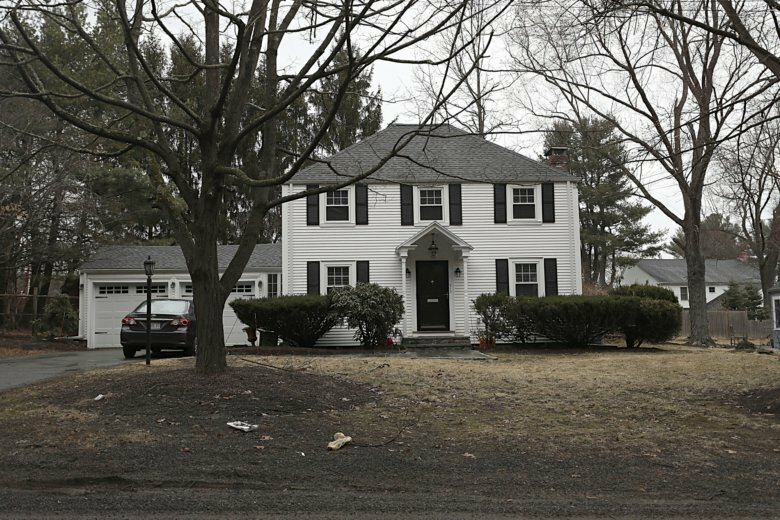 BOSTON (AP) — Harvard’s longtime fencing coach sold his suburban Boston home for nearly double its assessed value to a man whose son was later admitted to the school and joined the team — a transaction now under review by the university. The sale appears unrelated to the recent college admissions scandal in which wealthy parents have been charged with bribing coaches and helping rig test scores to get their children into some of the nation’s most selective schools, said Claudine Gay, Harvard’s dean of the faculty of arts and sciences. One of those parents, lawyer Gordon Caplan, of Greenwich, Connecticut, on Friday became the second one to announce plans to plead guilty. He is accused of paying $75,000 to get a test supervisor to correct answers on his daughter’s ACT exam after she took it. Brand did not return The Globe’s messages seeking comment. The Associated Press also left a message seeking comment from him. “I want to help Peter Brand because I feel so sorry he has to travel so much to go to fencing practice,” he told the newspaper. Brand’s former home in Needham was about a 12-mile commute to the university. “We are committed to ensuring the integrity of our recruitment practices,” spokeswoman Rachael Dane said. “I apologize not only to my family, friends, colleagues and the legal Bar, but also to students everywhere who have been accepted to college through their own hard work,” Caplan said, adding that his daughter, a high school junior who hasn’t applied to any colleges yet, did not know about his actions. Caplan is a former partner at the international law firm Willkie Farr & Gallagher, based in New York. The firm placed him on a leave of absence after his arrest, but said in a statement Friday that he was no longer a partner and his “departure” was a result of the college admissions scandal. California entrepreneur Peter Jan Sartorio on Wednesday became the first parent in the broad scandal agreeing to plead guilty. Three people have pleaded guilty so far, including the admissions consultant, Rick Singer, and the former women’s soccer coach at Yale, Rudy Meredith. The case is the largest college admissions scheme ever prosecuted by the U.S. Justice Department. Among those arrested are Hollywood actresses Felicity Huffman and Lori Loughlin and Loughlin’s fashion designer husband, Mossimo Giannulli.